Well behaved native deciduous vine. Fragrant flowers attract native bees and butterflies. Larval host of 5 different butterflies. Main bloom April-May, Rebloom in summer. Average to wet soils. Sun or part-shade. Deer-resistant. 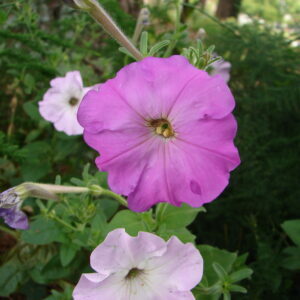 NOT A CULTIVAR: Propagated from native populations in Beaufort, Colleton, and Dorchester Co., SC. Do you love Wisteria but don’t want it to consume your house and garden? Plant our native American Wisteria instead. 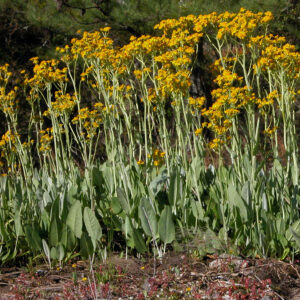 It grows much slower and stays much smaller than its invasive Asian relatives. Native bees and butterflies are attracted to the flowers in April and May and sometimes later. At least 5 different species of butterfly use it as a larval host. We have worked in gardens where a cultivar of American Wisteria had been planted. It did not thrive in our local conditions. It was prone to infestation by twig boring beetles which introduced fungi into he vascular tissue, weakening the vines. We spent countless hours carefully cutting away the damaged areas to prevent the fungi from becoming systemic in the plant. What a waste of time and money. We do not like wimpy plants. We do not sell cultivars. To insure our plants will grow well with minimal care, we travel to swamps and moist pinelands in Beaufort, Jasper, Colleton and Dorchester Cos.,SC to collect propagation material from the wild. We vary the places we collect. Our plants are not clones but unique individuals. Frequently, we find that the wild plants have been sprayed with herbicides. Sometimes, the herbicide damage is not visible until we have spent a lot of time working on them. We always hold on to some mother plants for insurance. It takes a lot of time and money to propagate and grow our American Wisteria this way. It would be much faster and cheaper to schedule a delivery from another nursery. The fact that our vines have never had insect or disease problems on makes it worthwhile. We have a few of our robust “wild type” American Wisterias available now. If you are interested in them, reserve them now. Once we run out, it will take a while to get more ready. If you need a large number of plants, we will gladly contract grow them for you. Plant your vines in full sun or part shade in average to wet soil. Let them climb a fence, railing, or big shrub. 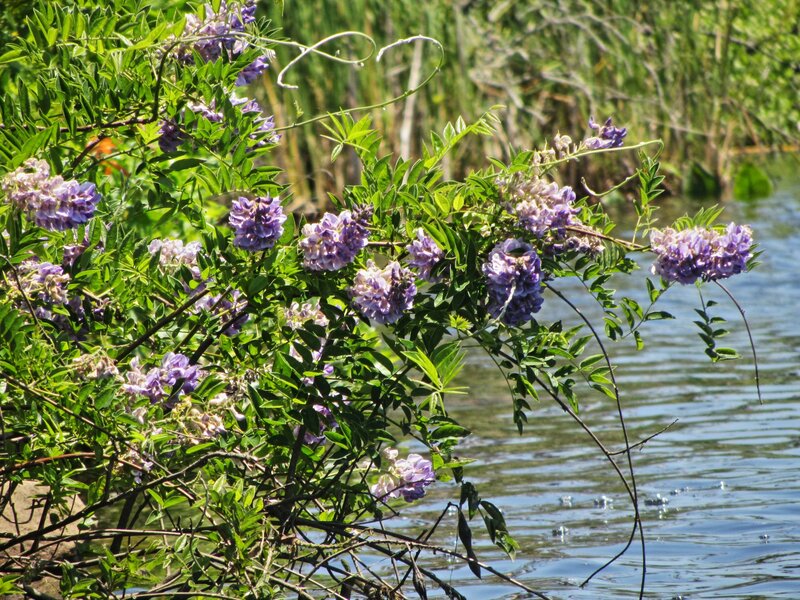 …..or scramble through the native grasses and wildflowers like they do in the pinelands. They can twine around branches a few inches across. Tie sisal twine around larger objects to get them started. They bloom on new wood which makes them easier to prune.